Longtime readers will know that anniversary month means lists. And while last year’s anime rundown involved a certain amount of long deliberation, settling on a film list for this go round ended up being a ticket to the Village of Excruciation. Perhaps it’s the shorter time investment, and all that that implies – more time to watch more, more sustainable on an experiment than a long form series, more easily fed into a larger impression – but I find my relationship to movies hugely different to how I approach TV series. That’s not to say I don’t love movies – I do, a lot – but the list is a lot more mutable, and favorites tend to be relegated to a time and place in my life when they were meaningful rather than something carried through the decades. So when I was putting this list together, I settled for the following: movies that were significantly influential, impressed me with some unique and lasting aspect (enough that they’d become a go-to in listing “good examples of x”); or, plainly put, movies that if I heard someone hadn’t seen them, my response would be siddown, this is our night now. And while there’s plenty of great things I haven’t seen yet, and those future movies might someday overtake some items on this list, they’re still recommendations I’d stand by. After her boyfriend dumps her for not being serious enough, sorority girl Elle Woods determines the only way to win him back is to follow him….by getting into Harvard Law School. Considering that it’s coming up on 15 years old now, it’s rather amazing to step back and see how unique this movie still is – a film that doused itself in pink and tried so, so hard to singlehandedly bring some conception of third wave feminism to the Hollywood film industry. It’s not an entirely successful venture – it’s a story populated about 90% by upper class white people, Elle’s love of feminine-coded things is filtered entirely through a fierce consumption of high-end fashion, and there’s That One Scene in the second act that relies on a veeeeeeeery turn of the century grasp of gay stereotypes – but there’s so much good at the bones of the thing that I simply can’t dismiss it. For starters, it accomplishes what surprisingly few commercially successful movies, even in the “girl power” mini-swing that was sort of going on at the time, managed to do: it’s really a story about its lead finding purpose and self-fulfillment primarily through her bonds with other female characters, with a male love interest whose place in the story is included in a way that lets them mutually support one another but also never makes him integral to her development as a character. The script is both charming and earnest, taking little beats to humanize all of the characters, male and female, who aren’t wearing big We Represent the Patriarchy signs over their heads (it’s not really interested in interrogating the whole femininity-as-consumerism thing, but baby steps). And the cast is downright charming, starting with but by no means limited to Reese Witherspoon in the role that really landed her the future spotlight. Also there was a musical…we’ll talk about that another day. Mouse detective Basil of Baker Street is called to help a young girl find her kidnapped father – a case that leads him once more into the clutches of his nemesis Professor Ratigan. I’m tempted to say “but Vincent Price” and call it a day, but that wouldn’t be fair. Sure, Vincent Price is the shining beacon of every scene he so much as breezes past, to the point that the film’s composers wrote him not one but two songs in what winds up being an unusually trim film. And sure there’s evidence that Katzenberg was tightening belts left and right, not just in that shortened running time but in the early fades on scenes, dropped subplots, a plot stitched together out of solely its most crucial beats, and the studio-uncharacteristic restraint in the film’s music. But if anything, all of that makes it more impressive that the film oozes with such love. 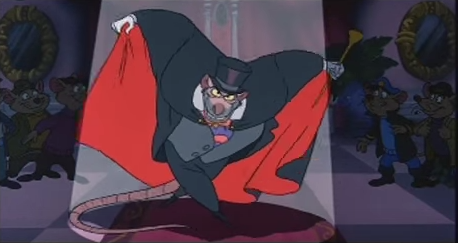 Basil and Ratigan get the most attention, as the star billing of this detective story, and their character animations are filled with beautiful little touches – quick, furtive movements and twitchy distaste in the former; grand theatricality and looming menace in the latter. The rest of the cast is fine, well designed and suitably executed in their narrative purposes, but it’s that leading rivalry around which the film turns. And boy do the actors know it, with both Barry Ingham (Basil) and the aforementioned Price (Ratigan) giving performances that are both delightfully hammy and yet never larger than the film allows for. It was endlessly delightful to watch as a child and remains little detracted as an adult, even now that I can point out the many nods it owes to a certain other great adventure film. America, the late 1980s. The AIDS crisis is at its peak, killing enormous swaths of people within months of infection. Two couples find their fates crossed in unexpected ways: Joe Pitt, a Mormon man who’s just realized he’s gay, and his pill-addicted wife Harper; and Louis, who is unable to cope with lover Prior’s increasingly debilitating AIDS symptoms. 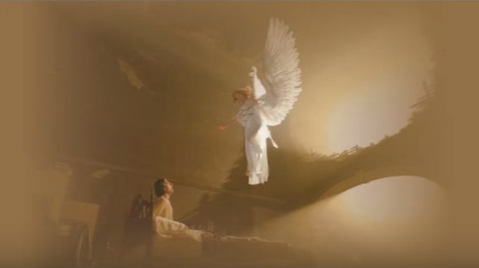 Angels in America is a seminal work of queer literature, and a majorly important work in the American canon at large. It’s one of the first major works of art to truly dramatize the hell of panic and anguish that was the AIDS crisis (five years before RENT premiered off-Broadway), and combines what was then an even more raw, open wound with thematic ruminations on death, grief, denial, real life historical figures, and faith. The stage play is technically two scripts – Millennium Approaches and Perestroika – and when performed without cuts can run for nearly eight hours. Even with more popular modern editings (taking a lot of the trial stuff out of Perestroika, as recommended by the author even) it’s still close to the half dozen mark. All of that is probably why HBO decided to break it up and present it as a mini-series. But since it’s technically meant to be watched all in one go, I’m cheating and putting it here. It’s a breathtaking adaptation, done with clear love and reverence for the original text (though they’re thankfully not so precious about it as to avoid making a few tweaks for the switch from stage to screen). The cast is packed with acting juggernauts giving their all to the material, from Al Pacino to Emma Thompson to Meryl Streep. And it is simply gorgeous. In some ways it’s difficult for me to separate the story as art from the historical sketch it represents, but I’m not sure it’s meant to be done. As a piece of queer history it’s unmissable. As a well-crafted drama, it stands firm more than two decades on. There’s something to be said for ambition. It’s no secret that the last 15 minutes or so of this film is an arguable trainwreck, pushed by the constraints of adapting six telephone book-sized manga (which was still running at the time) into a two hour film. And while there are narrative aspects of the manga that I miss – predominantly the fact that Kei’s role in the story is reduced from an active player to The Girl Character – for the most part I can’t say that I’m overly fussed. Akira works about as well doing vague metaphor duty as being a proper character, and the narrative itself has aged into a portrait of nuclear anxiety in both versions. What the film, with its forced abstraction (this is a film that lives and dies by its visual effects, after all, from the sickly blues of the nursery and warlike red of Tetsuo’s berserker outfit to the slithering triumph of body horror he becomes and then-unheard of budget, manages to preserve is the very feel of shonen as a genre (albeit a rather gorier one than what you’re liable to catch in Jump). There’s so little room for actual narrative events that the story often seems to operate on dream logic…and that ends an echoing power to the way that dreams, memories, hallucinations, and psychic visions are woven throughout the story. This is a story of children being turned into weapons and dreams becoming nightmares, and the melting hallucinogenic quality that carries us from scene to scene invites an emotional experience that fits that kind of story. 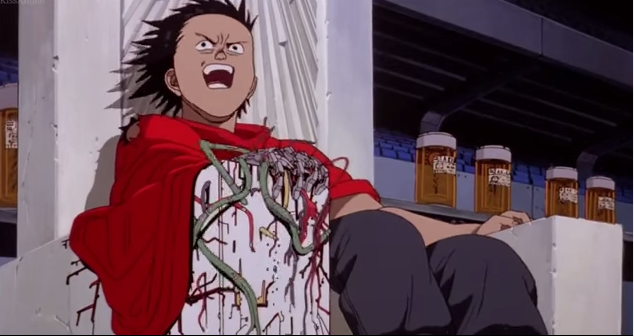 Even Kaneda and Tetsuo, with their memetic screaming scenes, are a fairly simple friends-to-rivals story that’s a dime a dozen in action anime these days…but the film takes that often stale relationship and boils it down to raw moments of emotion – tears and tenderness and, yes, raging shouts. It’s not a peerless script, but it’s nigh unmatched as a raw emotional experience. Superheroes have been forced out of the public eye for decades, and masked vigilantes have all assumed civilian lives. But Bob Parr, formerly “Mr. Incredible,” has never been able to let go of the glory days (often at the cost of lying to his equally superpowered family) – a fact that a mysterious benefactor is more than happy to take advantage of. I love hero stories, internet. I love their idealism, their bombastic visuals, and their frequent absurdity. I love, when they are good, the humanism that shines through even in the face of surface-level grime. 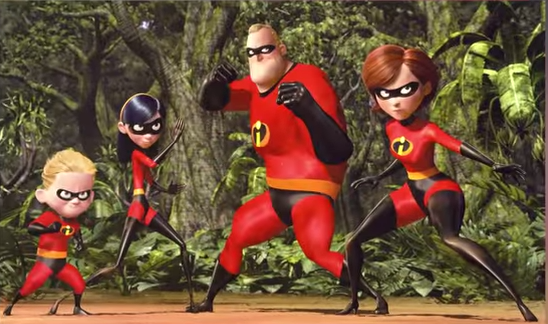 And Brad Bird (who also directed the wonderful The Iron Giant) seems to love them too. It nods to classic comics (the premise, after all, is straight out of Watchmen) while also smartly centering its heart on the subject of trust, fidelity, the inherent value of an individual versus the exceptionalism that’s pretty well baked into the genre, and a tight cast of well-drawn and memorable characters. And that’s before we even get into the bright, primary color palette; the incredibly (sorry) smart use of simplified character designs that minimizes CGI’s problem with the uncanny valley (see exhibit B, The Polar Express) and the equally lush and vibrant scenic designs; that memorable, bombastic and jazzy soundtrack that Tiger & Bunny went on to crib to great effect. It’s a great genre tribute, thoughtful but never cynical. And it features Sarah Vowell as Violet, and I so rarely get to see authors I love in films I love. Did you know you can support this blog on Patreon? I fist-pumped when I saw The Great Mouse Detective on this list. My best friend and I were pretty much the only kids who put it at the top of our fav Disney films lists (heck, a lot of kids had never seen or even heard of it), so I’m always excited when someone else gives it some love. I’m still annoyed “World’s Greatest Criminal Mind” has never made one of those Disney compilation soundtracks, and “Let Me Be Good To You” remains the best thing they ever got past the censors. Also, dat fight on Big Ben legit scared me when I was younger. SO GOOD. Ohhhhhh, how I love GMD. I wanted to be Basil so badly as a kid. I still have the tape from the local video rental place that the owners straight up gave me I’d rented it so often. I WILL FIGHT THE WHOLE WORLD FOR THIS MOVIE (though in one of her reviews Lindsay Ellis pointed out that the singalong version of “World’s Greatest Criminal Mind” excludes the lyric “worse than the widows and orphans you drowned,” and now I think about that constantly). I’m actually surprised you’ve not seen LB? Not because it’s unmissable top tier cinema, but just because it was one of Those Movies during the 2000s, the one cable had a license for and as such was pretty much ubiquitous during every dead airing slot or weekend. I was sure EVERYONE had seen it whether they sought it out or not.